Posted by Chris Mark in Laws and Leglslation, Politics. Election season in the US is always interesting. Passions run high and people are quick to proclaim their positions on government and politics. Unfortunately, as many will likely agree, election season also gives voice to many who should probably remain silent. Last night, a news story broke that combined two of my favorite things; compliance and American football. This is a rare occurrence, indeed. It seems that Jason Pierre Paul was celebrating the 4th of July, when he had a fireworks mishap, resulting in a major injury to his hands. As a football player that had recently been franchise-tagged, this is major news. Understandably, the sports reporters were anxious to get the story, as JPP, as he’s called, hadn’t yet signed his $14.8M dollar contract. One reporter, though, went so far as to tweet a copy of the player’s medical record, as proof of the procedure.As you can imagine, compliance professionals immediately hopped on this broadcast of Protected Health Information (PHI). This is an unscrupulous invasion of privacy, but does the tweet constitute a HIPAA breach? READ MORE. I (Chris) am finally back in the US after traveling for the past two months. 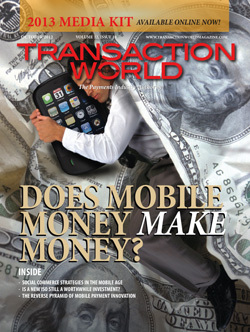 If you haven’t had a chance yet, please check out October’s issue of TransactionWorld and read articles by Chris Mark (Security Economics) and Heather Mark (Portable Security). If you don’t subscribe to TW, you should check it out. Everything you could want to know about payments. (well..not everything but quite a bit).